Internationally renowned for its legendary horse farms and beautiful countryside, the city of Paris offers the best in country living, conveniently located only 20 minutes northeast of downtown Lexington. 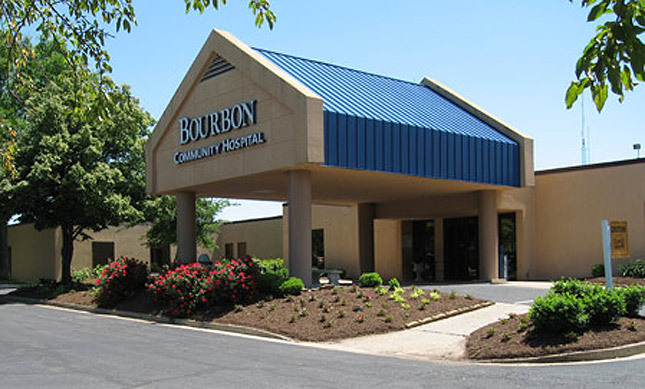 Bourbon Community Hospital is a 58-bed acute care facility in the heart of the Bluegrass. We offer the latest in technology in a quiet hometown atmosphere. Our patients are our friends, our neighbors and our family. Our staff is proud of the quality care we provide to our patients. Our medical staff consists of more than 120 well-trained physicians covering 22 specialties including Allergy, Anesthesia, Cardiology, Denistry, Emergency Medicine, Family Practice, Gastroenterology, General Surgery, Hematology/Oncology, Hospitalist, Internal Medicine, Nephrology, Neurology, Gynecology, Opthalmology, Orthopedics, Otolaryngology, Pathology, Podiatry, Psychiatry, Radiology and Urology. Stone Creek Behavioral Health Centre is a 25-bed inpatient facility located within Bourbon Community Hospital. Senior Services and Adult Services are housed in a 16-bed acute care unit with separate programming tracks for each population. Adolescent Services are housed in a 9-bed acute care unit. Private and semi-private accommodations are provided for the comfort of our patients. Our treatment is guided by the philosophy that each patient is a unique individual. We strive to provide a planned program of individualized, effective psychiatric services by a dedicated team of psychiatrists, clinical psychologists, nurses, social workers, mental health technicians, recreations therapists and Kentucky certified teachers. Nestled in the heart of Kentucky’s famous Bluegrass Region, Bourbon County is one of the top producers of thoroughbred horses in the world. More than 50 horse farms are located in the county, including world-famous Claiborne Farm, where Secretariat stood at stud for many years. Historic attractions include Duncan Tavern, a 1788 limestone tavern on the courthouse square whose guests included Daniel Boone. The Cane Ridge Meeting House, the site of the famous Cane Ridge revival of 1801, was built in 1791 and is the largest one-room log structure in the United States, seating 400 people. The Colville Covered Bridge near Millersburg is one of only two in the state still open to traffic. Other attractions include the Hopewell Museum, located in a 1910 Beaux Arts building originally used as a post office, and the Wallis House & Arboretum, which features extensive grounds containing an arboretum, rose garden and day-lily garden. Steeped in tradition and located just a few miles down the road in Lexington, Keeneland Race Course attracts millions of fans during the racing season from April to October. Houston Oaks Golf Course and Shady Brook Golf Course offer some of the best golf in the region and provide plenty of challenges for golfers of all skill levels. Bourbon County Park has a paved track that’s a favorite among walkers and a playground area for children. Finally, Bourbon County has one of the few drive-in movie theaters remaining in America.